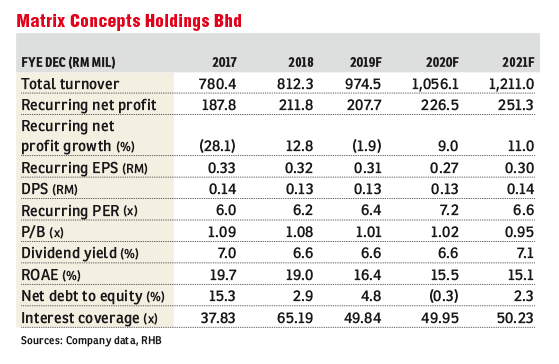 Maintain buy with a target price of RM2.35: After meeting with the management last Friday, we believe investors should be more comfortable with Matrix Concepts Holdings Bhd’s recent 10% placement exercise, as well as its involvement in the development of North Jakarta’s Islamic Financial District (IFD). This new venture, backed by a strong conglomerate, marks Matrix’s entry into the growing Indonesian property market, which is supported by a huge population. The management also gave assurance of a consistent dividend payout ratio going forward. Its chairman Datuk Mohamad Haslah and chief financial officer Louis Tan hosted a meeting last Friday to share further details of its joint-venture (JV) project in Indonesia. The 3.6ha development is located within PIK2 Sedayu Indo City in North Jakarta. Both PIK1 and PIK2 (Pulai Indah Kapuk) are developed by Agung Sedayu Group and Salim Group, and we understand that PIK1 (below 2,000ha) is almost fully developed — and is now a mature town. PIK2 (2,350ha), undergoing land-clearing works now, is the next leg of development. It is easily accessible from all parts of Jakarta and adjacent to the Soekarno-Hatta International Airport. PIK2 will feature more commercial, retail and leisure components. The financial centre of PIK2, where Matrix’s 3.6ha site is located, covers 23.5ha — comprising 12ha for the IFD and 11.5ha for banking and insurance offices. 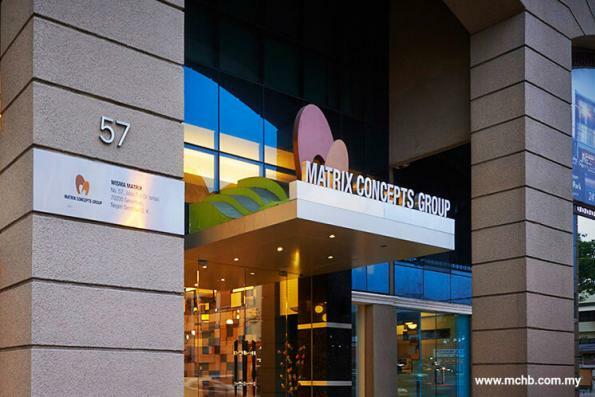 Matrix’s IFD project (total gross development value [GDV]: US$500 million or RM2.04 billion) will be developed in two phases. Phase 1 includes the development of an iconic twin towers (26 storeys each; combined gross floor area: 94,000 sq m), with a podium on 1.4ha of land. The GDV is estimated at US$200 million, with a gross margin of 40% to 50%, and is slated to be launched in the second half of 2019. The management guided that the consortium will likely keep one office block for rental income and put another block up for en bloc sale. Its land cost in PIK2 is at US$1,400 per sq m, versus US$2,800 per sq m for prime land in PIK1. Given its track record in PIK1, the management sees development prospects for PIK2. Admittedly, Matrix could have taken on additional borrowings to fund its equity participation in the JV (instead of a placement), given its low gearing. However, Mohamad Haslah has explained that offshore borrowings in US dollars may expose the company to currency volatilities, while borrowings in rupiah will be expensive due to a high interest rate. During the meeting, we were also reassured that the current equity injection is sufficient for the whole 3.6ha development, and the company should not need additional capital injection going forward.